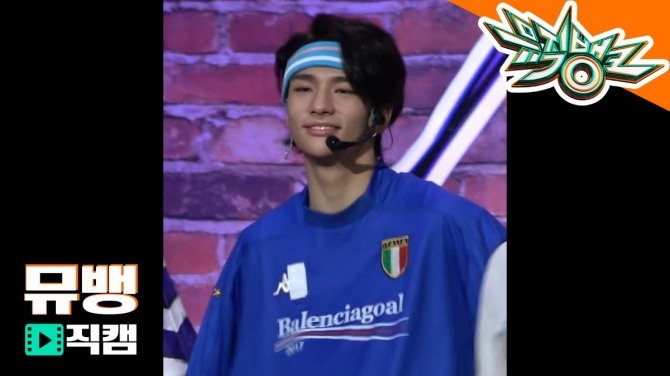 Hyunjin of Stray Kids rocked a “stray style” on stage over the weekend. 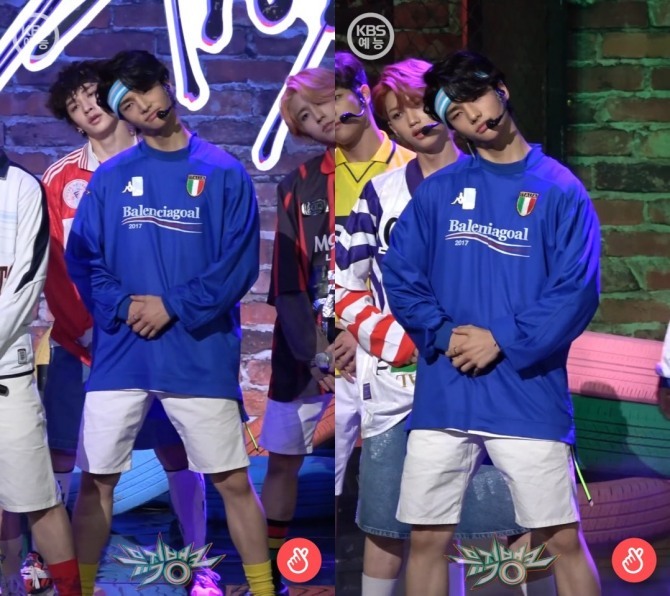 In Friday’s episode of KBS’ “Music Bank,” the 18-year-old star wore a jersey from Les Vetements de Football as he delivered a powerful performance of “My Pace,” a new single from the nine-member band. Les Vetements de Football recreates iconic soccer jerseys from the ‘70s through the ‘90s. “It makes me laugh that I’m compared to somebody else,” the rap song goes. “His rap kills me,” commented one obviously infatuated fan. Naver’s real-time broadcasting app V allows fans to interact live with their favorite K-pop stars. The app is available for Android and iOS. For more information, visit http://www.vlive.tv.